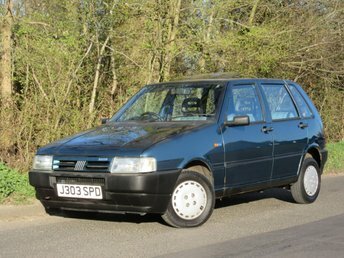 Totally Original Fiat Uno having Only 1 owner from New and a Full Service History. The car has only ever been maintained by FIAT and ourselves. Our elderly customer used the car occasionally and it has been garaged since new. Condition is very good, having never been painted. The interior is also spotless. An easy route to make concourse for the Festival of the Unexceptional. Well priced to sell. Established in the Italian city of Turin back in 1899, Fiat is one of the world's leading automotive manufacturers. 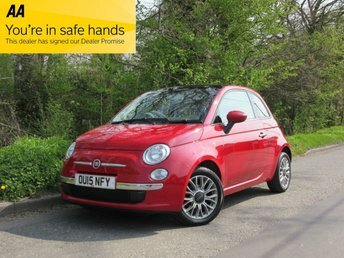 Here at Foster and Heanes we stock a varied selection of used Fiat cars, from compact city runabouts like the stylish Fiat 500 through to the agile and sporty Fiat 124 Spider convertible. Whether you're in the market for a soft-top or a family hatchback, our team will be able to help. We're the leading supplier of used Fiat cars in Dogmersfield so be sure to start the search for your next vehicle right here. Why not contact a member of the showroom team to discuss your requirements in more detail and to arrange a test drive. Finance is available to UK residents aged 18 years or older, subject to status. Terms & Conditions apply. Indemnities may be required. Other finance offers may be available but cannot be used in conjunction with this offer. We work with a number of carefully selected credit providers who may be able to offer you finance for your purchase, commission may be received. We are only able to offer finance products from these providers. Postal Address: Foster and Heanes, Chatter Alley, Dogmersfield, Hampshire RG27 8SS. Find contact details here.